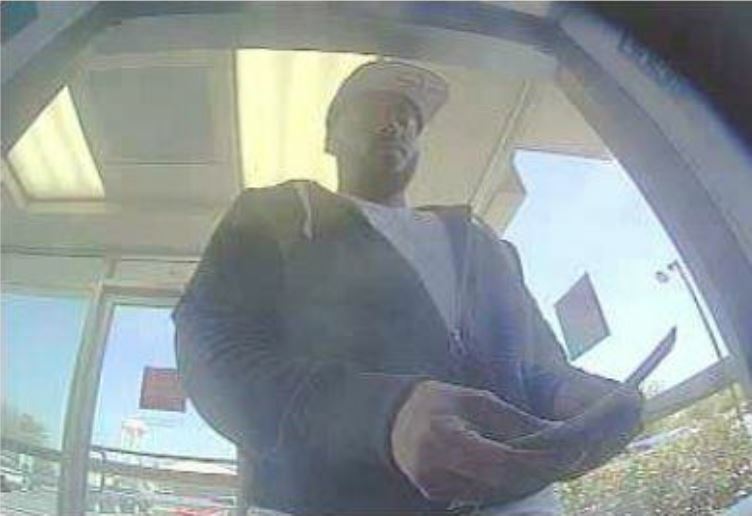 Police: Looking for a Man using debit card to withdraw $20,000 from victim's bank account | Crime Stoppers of the Lowcountry: 554-1111 | 1-888-CRIME-SC | Anonymous tips earn cash rewards with Crime Stoppers of the Lowcountry. Charleston police released surveillance pictures of a man they say took $20,000 from a victim's bank account. The man is accused of using the victim's personal information to obtain a debit card on the victim's account, then withdrew the money from ATMs in the Charleston area, according to Charleston Police spokesman Charles Francis. MOBILE USERS: Click here for additional surveillance images. He was seen in surveillance images wearing an Oakland Raiders cap, dark hoodie and white t-shirt. Anyone with information on his identity should call Charleston County Consolidated Dispatch at (843) 743-7200 and ask for the on-duty detective, or Crime Stoppers at (843) 554-1111.